Listen, uh, I noticed a lot of you are very inactive. So for now on, if you don't give us money to our patreon and/or pay us via sausages by Paypal, we're banning all of your accounts. You have an hour to comply. Sorry, it's just how things are guys. Fella's gotta eat. I know this is late. 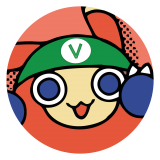 I know it's been quiet, but now is better time to ever to talk about the going-ons of the server and hopefully the rest of the Klonoa community. I won't make this long, I won't post information that you guys can easily look up for yourselves, BUT I will post about some interesting projects that we have going on, and that hopefully we'll get have it done this year. So let's dig right in. We collected a lot of stuff about Klonoa over the years, and this year we're gonna to finish up the archive collect we managed to amass. It'll be a new section here on the site, I have to host it here of course, so it's a manner of setting down and getting it done when I get some time off, which if things go well, I might be able to do this May. Of course there a few things that we can't host here, but we'll link it if necessary. So look forward to it! Windbullet Magazine Winter 2017 is out! Hello everyone! I'm here to announce that the Winter 2017 issue is out now! Don't forget to check it out! With that, the Windbullet Magazine project has finally come to the end. Thank you guys so much for the participation and support! 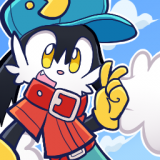 And also once again Happy 20th Anniversary, Klonoa! Here is a link of affiliates for our dear floppy-eared fellow. Make sure to bookmark them!